World Bowls, An excellent website detailing everything you need to know about the game, with lots of information. The Scottish Bowling Association, An excellent website detailing everything you need to know about the game. 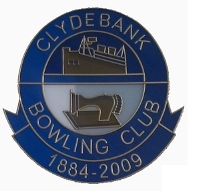 Scottish Bowls, Another excellent website with a wealth of information about bowling and competitions local to Scotland. Scottish Young Bowlers Association, the association concentrating on Bowlers under the age of 16 years. Another excellent website with a wealth of information about bowling and competitions local to Scotland. Scottish Indoor Bowling Association. The web site of the Scottish Indoor Bowling Association. A very good source of information. Scottish Indoor Bowls. 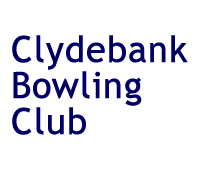 A web site designed to act as a database for Scottish Indoor Bowling Clubs. Run by a bowler in the North of Scotland who supports his hobby by this web page. A very good source of information. Bowls Club Info. A web site designed to act as a database for Bowling Clubs everywhere. A very good source of information. Rob Judson, a bowling coach who has produced a book to download free with coaching tips. Excellent site that could help us all to analyse what the game is all about. The Clydebank Story, An excellent website detailing a wealth of history about Clydebank over the years. Gaberlunzie, a traditional Scottish Folk Duo who bring a mixture of humour and emotion to their live performances. Gaberlunzie are back in the club on October 17th 2009. Book your tickets from Willie Riach, after the last concert this will sell out fast.